he American Heart Association, in conjunction with the Anthem Foundation, has begun placing CPR training kiosks in some US airports. Next time you have a layover in the US, check to see if the airport is participating in this program. 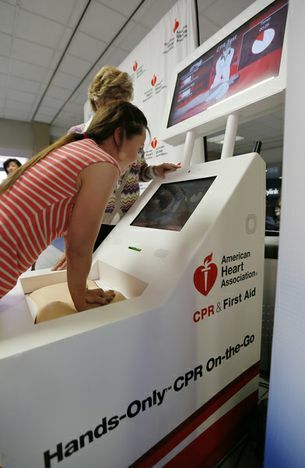 The American Heart Association, in conjunction with the Anthem Foundation, has begun placing CPR training kiosks in some US airports. With kiosks already in place in Dallas-Fort Worth, Chicago O’Hare and Indianapolis, 3 more are being placed in Las Vegas, Baltimore and Atlanta. The kiosks feature touch-screen videos to train the technique along with a rubber mannequin upon which to practice. The system will then provide feedback to tell you about the rate and pressure of your compressions along with your hand placement. 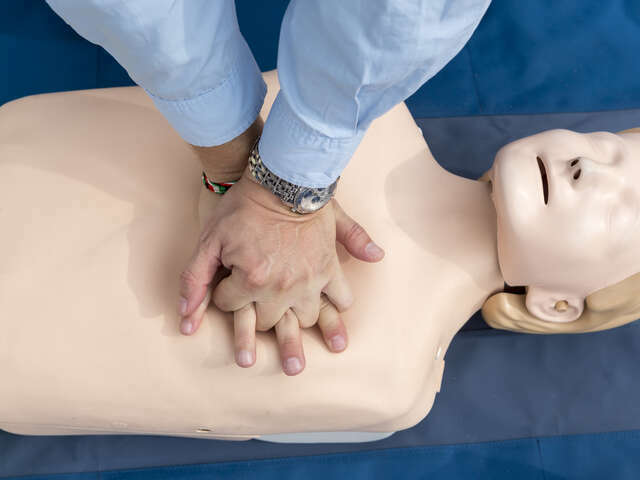 The entire process should take about 5 minutes and can provide you with a lifesaving skill. In fact, a pilot kiosk in Dallas last year was used by a university student who just days later used his new skills to save the life of a fellow student who was struck by lightning. When you hear a story like that, it makes you think about how effectively you used your last layover. Cardiac arrest is a leading cause of death. More than 20 percent occur in public places like airports, casinos and sporting facilities. When a teen or adult has a cardiac arrest, survival depends on immediately receiving CPR from someone nearby. Survival rates drop as much as 10 percent for every minute that goes by without intervention.